This past May, the Appetas team headed to the National Restaurant Association show to release our product to restaurant owners from around the country. We soon discovered they weren't the only ones interested in Appetas. Restaurant technology and service companies approached us, explaining that their restaurant merchants were seeking website services. They asked whether we could provide our website builder platform to their customers. We were also approached by design agencies and restaurant consultants wanting to provide their customers with Appetas websites. Seeing the opportunity to help more restaurants get online quickly and easily (our ultimate goal), we began the Appetas Partner and Affiliate Programs. Via the Partner Program, companies with established offerings and distribution channels to restaurant merchants are able to offer their customers websites built in minutes on the Appetas platform. We provide the technology platform and customer support, our partners provide the sales and marketing distribution. Partners can use their own brand name through our white-label and co-branding features. Our launch partners for the program are Restaurant.com and Granbury Restaurant Solutions. The Affiliate Program is intended for individuals and agencies with a merchant base of fewer than 100 restaurants. This program provides an easy way for consultants, design agencies, and others to offer their clients beautiful websites. 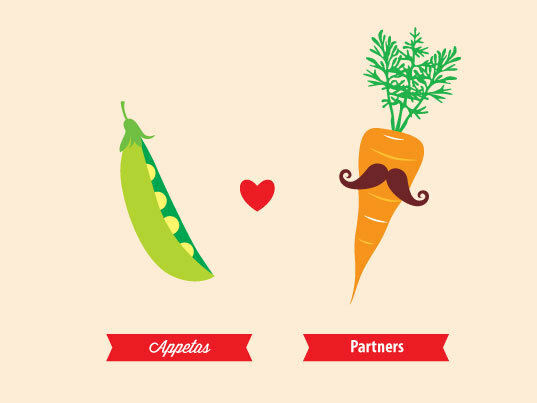 Appetas-approved affiliates receive 25% of the annual or monthly fee paid by customers they bring to the Appetas platform. For more details regarding the Appetas Partner or Affiliate Programs, give us a call at 1-800-872-6618 or fill out this form.